...and it's not a photo from a furry convention. 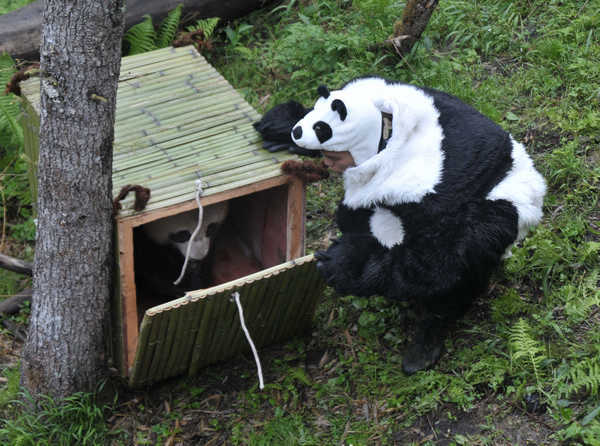 It is a group of researchers transferring a giant panda to a new location. The researchers are trying to expose the pandas to as little human influence as possible. When they have to get close they don panda suits.